Owners of the Milwaukee Bucks hope the new arena will be a trendsetter for equality. It will be one of the first NBA arenas to have gender-neutral bathrooms. When the arena opens in just a couple months, those in search of a bathroom will find an option they may not be familiar with. "All-gender bathrooms," commonly called gender-neutral, will accompany dozens of men's and women's restrooms. The plan garnered mixed reviews from fans we talked to. "I think it's good," said Bucks fan Chris Davidson. "My way is the old-fashioned way, that's all there is to it," said Robert Kustra of Milwaukee. "Men go to the men's, women go to the women's." 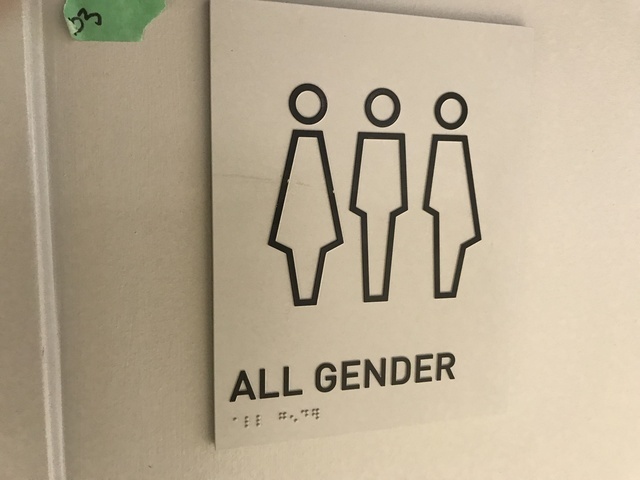 Not every bathroom inside the new Bucks arena is gender-neutral, in fact just a small portion of them are, but patrons will be able to find them on every level. The Bucks' front office believes 'Owning the Future' requires forward thinking. "It's trying to become a place that is welcoming and inviting to everybody," said Bucks Senior Vice President Alex Lasry. Lasry said that involves making everyone feel comfortable. "We're happy to be one of the leaders," he said. Each gender-neutral restroom has just one stall. "The only way that this arena is going to be successful is if the people coming here feel like they're having the greatest experience of their lives," Lasry said. Davidson has no issue using the new option himself. "It's good to know that because if the men's line is real full, I can run to that one right quick knowing they're individual stalls," he said. The new arena will also not be using straws in an effort to protect the environment.